Silver Bay offer a range of luxury lodge accommodation for ownership all within its beautiful location, and we were lucky enough to be offered a ‘taster weekend’, something which is available to all prospective lodge owners. The award-winning holiday village has numerous facilities including The Deck House restaurant, bar and lounge, ‘Busy Bayers’ children’s club and adventure play park, a secluded forest, beach and boat park, leisure complex including fitness centre, indoor swimming pool, sauna, jacuzzi and steam room and even a beauty salon. We arrived at the tail-end of the autumn half-term holidays and there were still plenty of families enjoying their break. I was really impressed by the volume of activities on offer for children at the ‘Busy Bayers Club’. Activities range from creative tasks such as pottery painting, to outdoors activities such as ‘Wild Survivors’ coast and forest club and sports such as kayaking, water polo and ‘Try Scuba’. I also thought it was great that there was children’s entertainment every evening such as Movie Night and quizzes – perfect for when the grown-ups want to relax in The Deck House while children hang out in the nearby Busy Bayers area. There were three of us (myself, my boyfriend and my mum) and our accommodation was lovely. Our luxury lodge had 2 bedrooms, a bathroom, a fully-equipped kitchen, dining area and living room. All the lodges at Silver Bay also have central heating which we were hugely grateful for in the midst of November. Our comfortable dwelling was more than big enough for the 3 of us, with great-sized rooms, and our own outside area. If the weather had been warmer, we would have thoroughly enjoyed the outside decking and seating, but we only used this for a rather bracing viewpoint for Bonfire Night fireworks. There were beautiful views from our lodge spanning across the holiday village. We could see all around us the beautiful environment – lush greenery, wildlife, and rolling hills in the distance. Our lodge didn’t overlook the private beach, but we were less than 5-minutes away for brisk morning walks along the coast. On our first day, after a short 2.5-hour drive and a shop at the local supermarket, we were there for 12.30pm. We unloaded the car and set-up our home for the next four days and then wrapped up and headed out for an explore. Silver Bay has recently won a Gold Standard David Bellamy Award for its contribution and preservation to the park’s wildlife. The love and care that the people put into the grounds and holiday park are clear to see. There were recently planted shrubs and trees around the children’s adventure play park area (some planted by the ‘Busy Bayers’ themselves!) and there was not a spot of litter in sight. The secluded Green Coast Award-Winning beach is a sight to behold. The beautiful white sands are magnificently set against the backdrop of the Snowdonia mountains. The brisk November waves crashing on the sand and salty sea breeze made us feel a million miles away from the racing pace of Manchester, and we instantly felt a sense of relaxation and ease. We strolled along the coast and explored the rock pools and collected a few shells before we continued our adventure up to Silver Bay’s woodland and followed the path over some fields and back to the park. It was a lovely few hours to work up an appetite for an early dinner we planned in The Deck House. After a leisurely couple of hours back at the lodge, we wandered over to The Deck House for 6 pm. We had heard wonderful reviews about Lee the Head Chef and his passion for locally sourced ingredients so we were very excited to sample The Deck House winter menu for ourselves. We were greeted by huge smiles from the waiting on team and were directed to our table for 3 next to the bi-fold windows. Although it was dark, it was still lovely to look out over flickering lights and the nightscape across the holiday park. The atmosphere in The Deck House was homely and comfortable. A few families with children were wrapping up their evening meals, and others were arriving in groups to settle in for the eve. There was even a section in the lounge where football fans could watch the Man Utd match; this was far enough away so not to disturb the ambience of the dining area but close enough so families felt all under one roof. After much deliberation and pondering, we ordered our starters, lamb koftas (x2) and mushroom and stilton melt and then waited in anticipation for our main course of steak, chips and all the trimmings (x2) and a generous fish and chips – perfect fodder after our brisk walk earlier. The service was prompt and caring, and every measure was taken to ensure we were well fed, watered and comfortable. We were too full for pudding, but the lovely waitress insisted that we tried the homemade chocolate brownie and icecream and we weren’t disappointed! We chatted away for a while amongst ourselves and with some seasoned ‘Silver Bayers’ and enjoyed a few more rounds of drinks before calling it a night – we had a busy day in store for day 2 after all! After a deep sleep, we were set for a morning of relaxation and beautify-ing at the Spa at Silver Bay. We’d booked our appointments beforehand with team leader, Charlotte. Charlotte was excellent when advising on recommended treatments for all three of us, and our needs were carefully assessed beforehand. Andrew and myself were set up on the couple’s therapy room, and my mum had a room to herself, each of us had our own personal therapist who delivered the expert treatments. The Spa at Silver Bay is an advocate for ELEMIS products. ELEMIS therapists are renowned for harnessing the power of nature and science to perform treatments that genuinely transform your skin and enhance wellbeing. The experience was exceptional, and we were very impressed with the physical and mental improvement after just 1.5-hours of care. I requested the Swedish back, neck, and shoulder massage (£30, 25 minutes) and the Pro-Radiance Superfood facial (£60, 1 hour). Soothing music and aromatherapy filled the treatment room, and we began with the facial. Rich in superfoods, vitamins and minerals, the Pro-Radiance facial revealed a glow to rival a week in St. Tropez! The massage followed and melted my aches and tensions away. I spend most of my time at a computer, and this has resulted in tension in my neck and shoulders. Charlotte was quick to discover this and worked her magic to erase what felt like a lifetime of tightness. I felt like a floaty, floppy, ball of happiness after my treatments and I can’t thank Charlotte and the team enough for their expertise and warm welcome. The weekend was a cultural adventure with visits to South Stack RSPB reserve and also chasing the sunset along the coast. 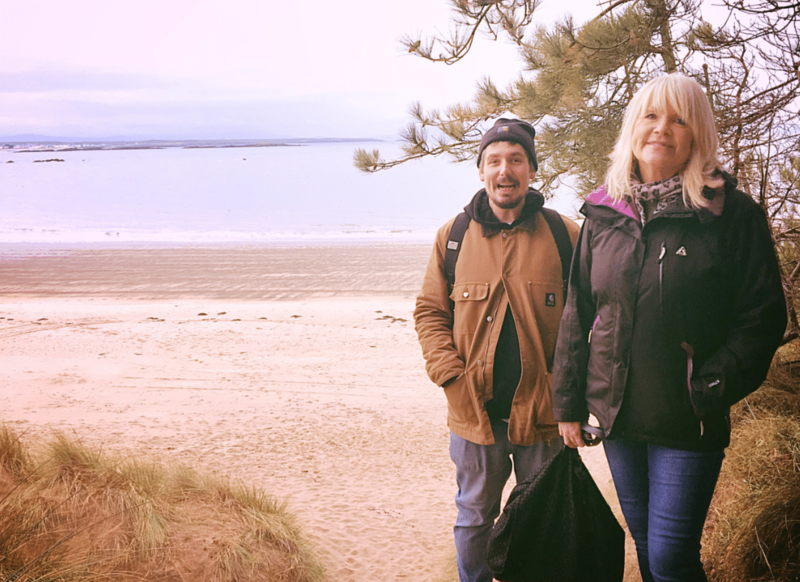 We lunched at the Sea Shanty Cafe on Trearddur Bay and travelled up to the surfer town, Rhosneigr, for Anglesey’s most-renowned fish and chips at Scarlett’s Fish and Chip Bar – we weren’t disappointed! Anglesey is an island that holds a special place in the hearts of those who have experienced it. 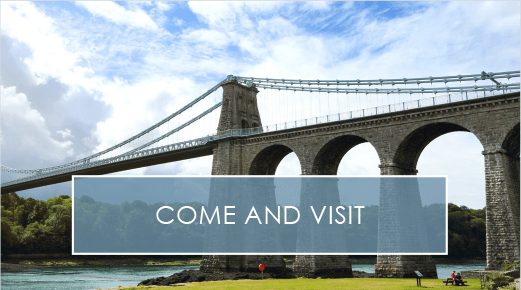 Filled with charm, history and a unique blend of clear, beautiful coast and lush rolling hills and countryside, Anglesey is a UK staycation destination second to none. Whether you’re a family with young children, a couple looking for a romantic escape, or a group of friends or family, I would wholeheartedly recommend that you explore this retreat on your doorstep. Being just over 2-hours from most hubs in the North West makes Anglesey an easy and quick retreat. If you’re searching for an ideal base, look no further than Silver Bay Holiday Village. 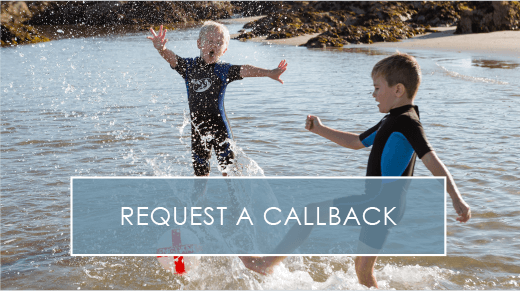 All in all, I believe that Silver Bay is the ultimate UK holiday destination – because it’s situated on the glorious Isle of Anglesey, because the activities are plentiful, the facilities are excellent, and you have so much beautiful outdoors to explore. By the end of our stay, we felt revived and happy in the fact that we had an unforgettable experience that we’ll reminisce over for many years to come. The Silver Bay team are really helpful, friendly and knowledgeable. A special thank you to Leah the manager at The Deck House, Charlotte in the Spa, Heidi and the reception team and park managers Jamie and Chris for the warmest of welcomes. If you’re searching for a perfect UK family escape, look no further than Silver Bay. 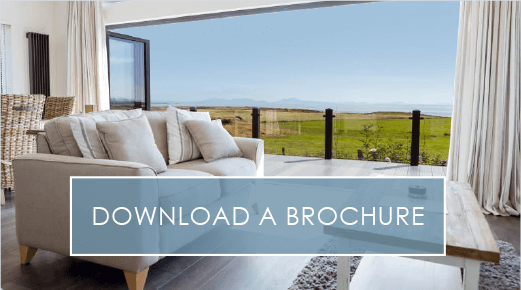 If you’ve been inspired to experience the luxury holiday park lifestyle for yourself, please call Jamie Hughes on 01407 860 111 to arrange your visit. previousIt's Time To Think Festive! Our 2016 Christmas and NYE Planners Are Here! nextThanks For All Your Generous Donations - We've Managed to Raise a Whopping £2,000 for the Royal National Lifeboat Institute!